Boy, is this an undiscovered gem… or should I say Gemma? The characters, narratives, and mise-en-scene of the Western are so familiar to us that, when a film tries to do something more, there’s a risk we won’t be able to see past the genre tropes. 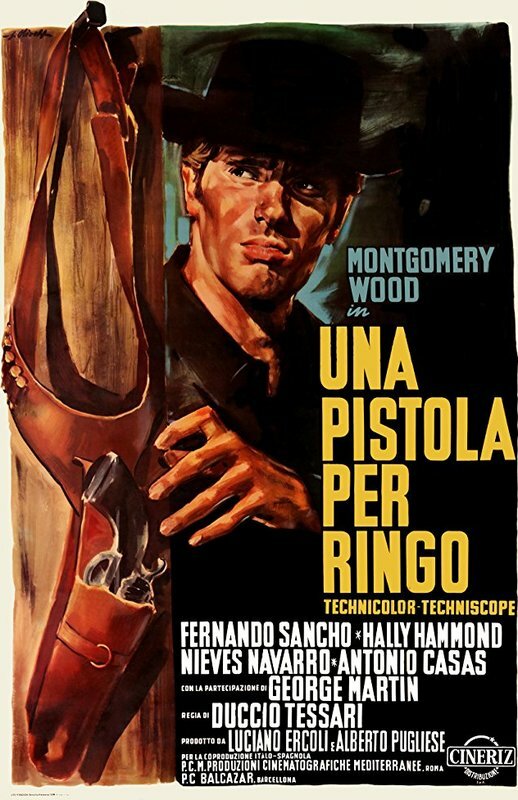 A Pistol for Ringo is one of those films. The setting, characters, props, and music may seem overly familiar, but writer/director Duccio Tessari has so many stylistic, story, and dialogue tricks up his sleeve that the film emerges as both a terrific Spaghetti Western, a trenchant anti-Western, and an intellectual study of the nature of Westerns. It turns so many Western archetypes upside down that it’s surprising how closely it actually hews to the most popular Western themes. The Plot in Brief: Several hired goons go looking for famous gunslinger Ringo (Giuliano Gemma) in the backwater town where he is hiding. Ringo dispatches them easily, even bragging about his marksmanship skills to the local children who witness his murderous display. The Sheriff (George Martin) throws him in jail. Meanwhile, a passel of bandits led by the boisterous Sancho (Fernando Sancho) stages a daring daylight robbery of the town bank. The bandits hole up at a nearby plantation, where they intend to take hostages and plan their escape to Mexico. Major Clyde (Antonio Casas) owns the plantation; he flirts openly with Sancho’s main squeeze, Dolores (Nieves Navarro). Clyde’s daughter Ruby (Lorella De Luca) openly despises the bandits. The Sheriff and his trusted deputy Tim (Manuel Muñiz) decide to spring Ringo from his jail cell and send him to the plantation to infiltrate the murderous gang. Can Ringo insure that justice is meted out to the bandits? What if young Ringo decides to join the bandits instead? Did I mention that Ruby was the Sheriff’s girlfriend? Why in the hell does this film take place at Christmas? Duccio Tessari has fashioned a Western world where everything is the opposite of what we expect: the sheriff is a powerless figurehead, the comic relief gives all the orders, the most amoral character actually has the strictest moral code, Christmas is a hypocritical pageant reserved only for the rich, the “bad girl” is actually on our side, the “good girl” is a fickle flibbertigibbet, and the outsider… well, we are never quite sure exactly what side he is on. It is clear that Tessari has fashioned Ringo to be the polar opposite of Sergio Leone’s “Man With No Name” portrayed by Clint Eastwood. Tessari’s Ringo talks a blue streak to anyone who will listen, is a snappy dresser, has a wry sense of humor, brags about his superior abilities and intellect, always shaves his beard, and only drinks milk. What a feat it is for a film to so completely up-end a genre, yet firmly stay in that genre and never slide into satire or parody. Not that I mean to get all political all up in here, but it is hard to watch the film and not notice what Tessario is trying to say about economic politics. 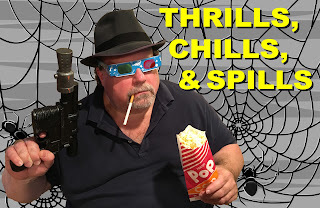 In fact, the film stretches the point to such absurdity that these portions of the film come off as surreal, like a political cartoon brought to life. Once the bandits take over the plantation, they begin to kill two farmhands a day to prove to the authorities that they are serious about wanting to be left alone. 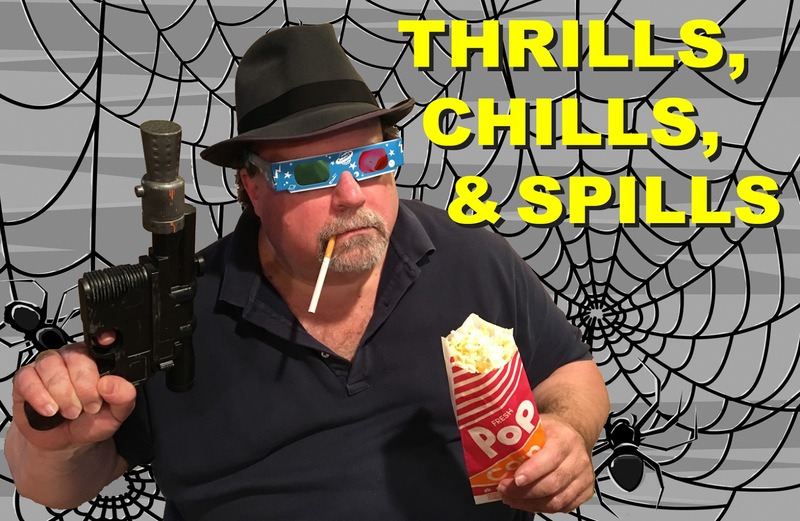 While all of the cold-blooded, senseless murder of the hired help is going on, the rich Major, his daughter, and their house servants continue their normal activities as if nothing unusual is happening. A formal dinner is interrupted by shots being fired outside (This being a Spaghetti Western, the sound of guns firing sounds more like cannons.) and those assembled inside barely pause their dinner conversation. Tessario seems to delight that he can keep this many plates spinning at one time, making a film that is an exciting Western, a deep character study, a refutation of genre stereotypes, and a timeless reminder that the poor in this world get fucked by the rich on a pretty-much daily basis. 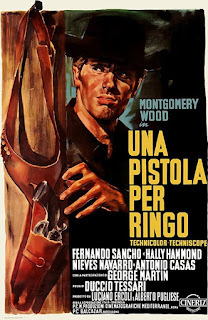 A Pistol for Ringo was hugely successful worldwide, immediately leading to a sequel written and directed by Duccio Tessari, The Return of Ringo (also released in 1965 and included on the new Arrow disc). Other studios, screenwriters, and directors jumped on the same bandwagon, leading to a fury of in-name-only Ringo films: $10,000 for Ringo (1965); Ringo and Gringo Against All (1966); Ringo and his Golden Pistol (1966); Ringo of Nebraska (1966); the musical comedy, A Woman for Ringo (1966); and Ringo, the Face of Revenge (1967). Between these crazy Spaghetti Westerns and the phenomenal success of the Beatles, 1966 was truly The Year of the Ringo. I have been watching so many of these 1960s Spaghetti Westerns that I am beginning to recognize some of the popular locations in Almeria, Spain that are featured in many films: the washed out, white sand “pass” that figures in A Pistol for Ringo and the later Giuliano Gemma film, Day of Anger, for example. Many of the buildings on the standing Western sets in Spain, even with different paint jobs and signage, are beginning to seem as familiar to me as the European village set that was once used in so many of Universal’s famous horror films. I am afraid that Arrow Video’s restoration work has become such a predictable delight that I am beginning to take it for granted. This is a beautiful transfer of a relatively obscure 1960s genre film. The transfer is immaculate, and I have a feeling that one of the principles that guide the folks at Arrow is to make the film look like it originally did on theater screens. This they have achieved admirably, and the film’s sweeping vistas and colorful costumes reward their efforts. Arrow’s new Blu-ray disc of A Pistol for Ringo makes me glad I lived long enough to see the proper home video respect paid to these films. The disc looks so damn good, it caused me to ruefully remember all of the indifferent or incompetent VHS transfers I suffered through in my younger days when I too carried a pistol, rode a horse, and triumphed the cause of justice in my simple little town.